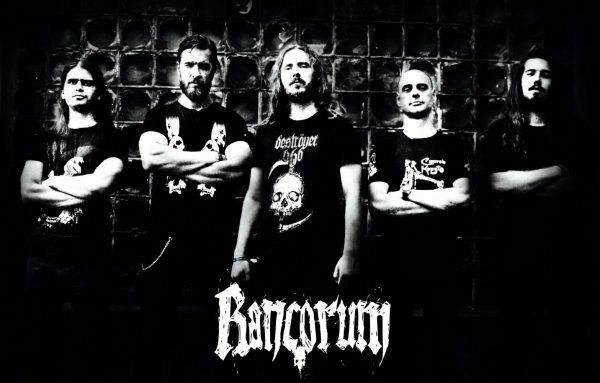 RANCORUM has started with a guitar and a drum kit in middle of 2014, when N and G found themselves driven by the same passion for good old-school death metal as in the days of their high-school and naturally, the wish to rise something really heavy in Bucharest was shared and hatched. With early rehearsals covering some legendary death metal tunes, soon their own ideas erupted into few song lines which have gone through lots of changes, until seven compositions were finished. Meanwhile, the duo felt the momentum to grow into a fully fleshed band that could play live gigs. So, after multiple tries and not only one letdown, in April 2018 the actual line-up was completed with L on growling duties, T on rumbling bass and C on driving guitar leads. As the full band began to rehearse, six songs were recorded to be released in what is to be the first full length album – THE VERMIN SHRINE – a sordid journey into the ghastly spirit of our world.